WHERE: El Chorro Regional Park, Poppy Group Area (near the entrance and across from the ball park). 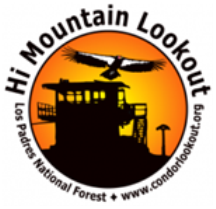 5:00-6:15 pm: Join Audrey and Kyle Weichert for a bird walk around El Chorro Regional Park. 6:15-7:00 pm: The Potluck takes place! Bring your main dish, a side dish to share, and your own reusable table setting, in addition to a picnic tablecloth if you have one. Assorted soft drinks will be provided by MCAS hospitality. The event is open to all at no charge. The event is open to all at no charge, and all ages are welcome.